Depart Moshi to drive via West Kilimanjaro to Kambi Ya Tembo in the Sinya Concession. Arrive in time for lunch. Afternoon game walk with Maasai guide. Morning game drive up to the border with Kenya. 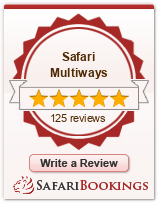 This is an opportunity to see elephants, giraffe, zebra, gerenuk, and other amazing wildlife. Return for lunch. Afternoon visit local village to experience Maasai culture. After breakfast return to Moshi with short game drive en route. Or optional Kilimanjaro day hike this day.